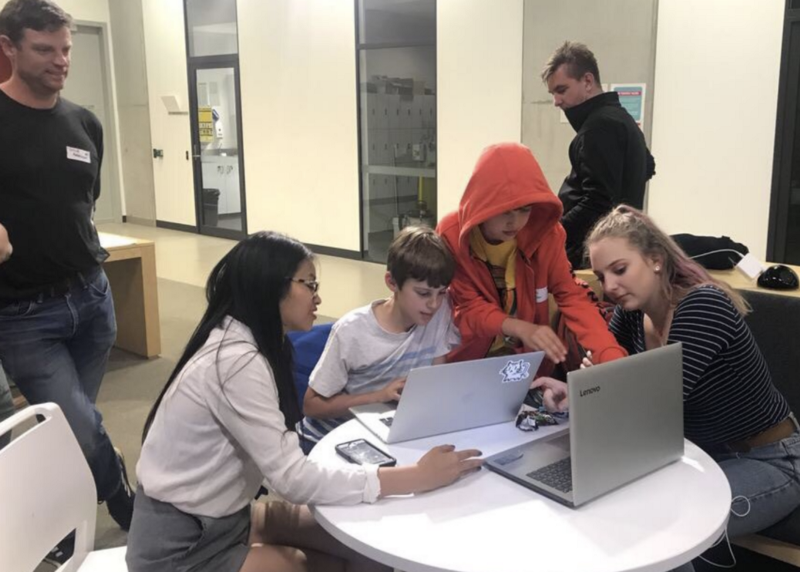 From 11 year olds hacking on the Ethereum Blockchain, an all-star girl coding team and international guests from New Zealand, UK and China, the most crypto-epic Blockathon couldn’t have been any more awesome. 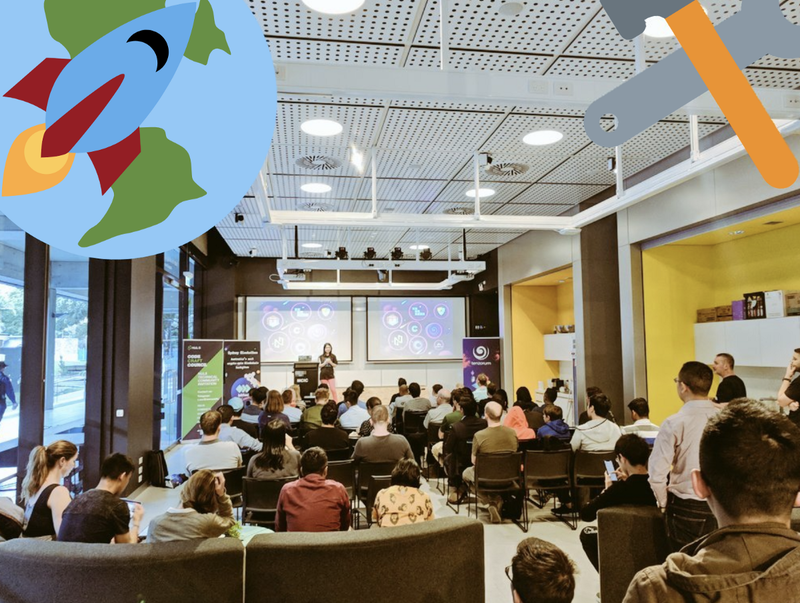 Last year, bitfwd started an experiment to host Australia’s Blockchain hackathon (Blockathon) to gather the community to work on decentralised solutions. 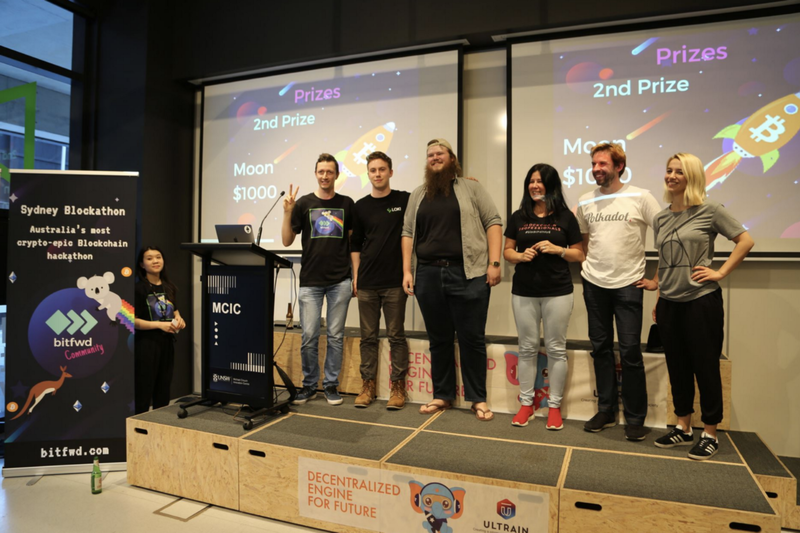 It was a great outcome and since then we have run international Blockathons in Sydney, Beijing, Shanghai and Lithuania which have been amazing. Fast forward to the end of the year, we wanted to bring it back home to Aussie land and our homeground Sydney. 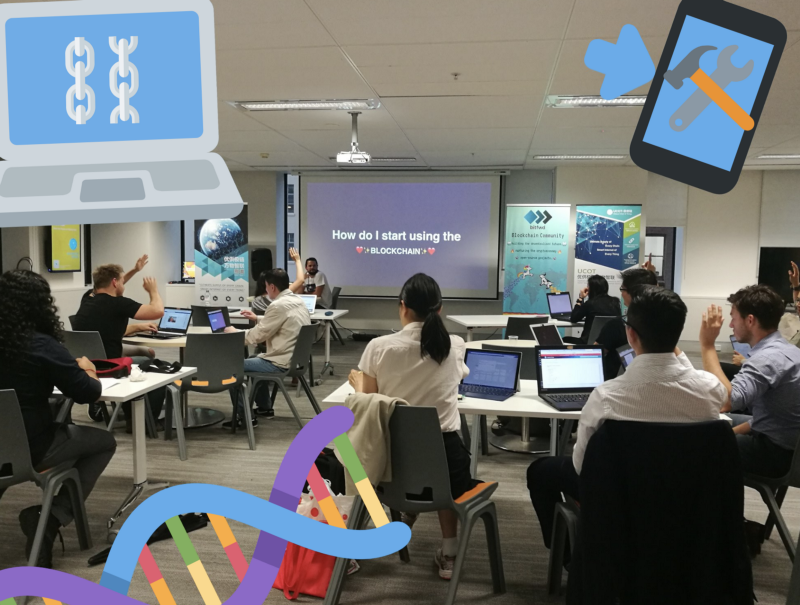 We started off by running several workshops early November in the lead-up to the event to help educate and equip the participants with the necessary knowledge base. 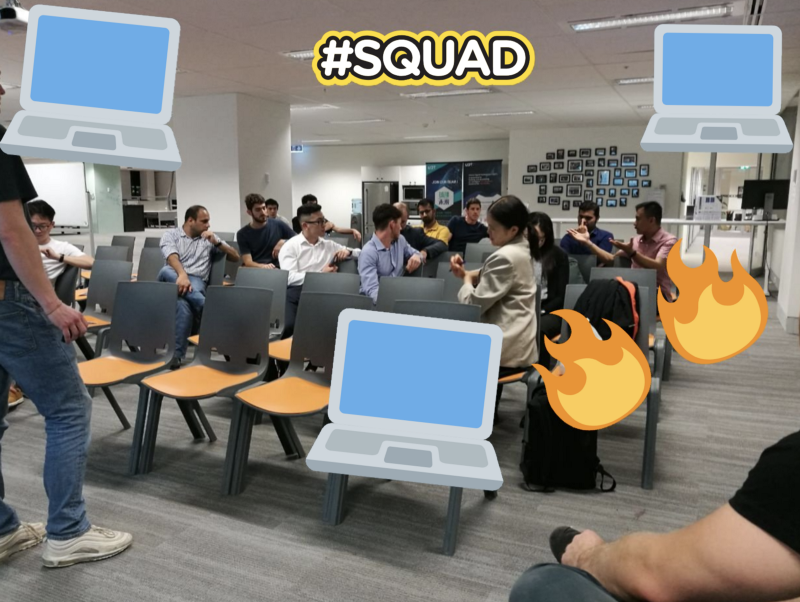 Lead by the bitfwd community + Connor Wiseman, Mark Pereira and Jasper Verhoeven, it was great to engage them with the fundamentals of Blockchain, Smart Contracts and Blockchain UI/UX. 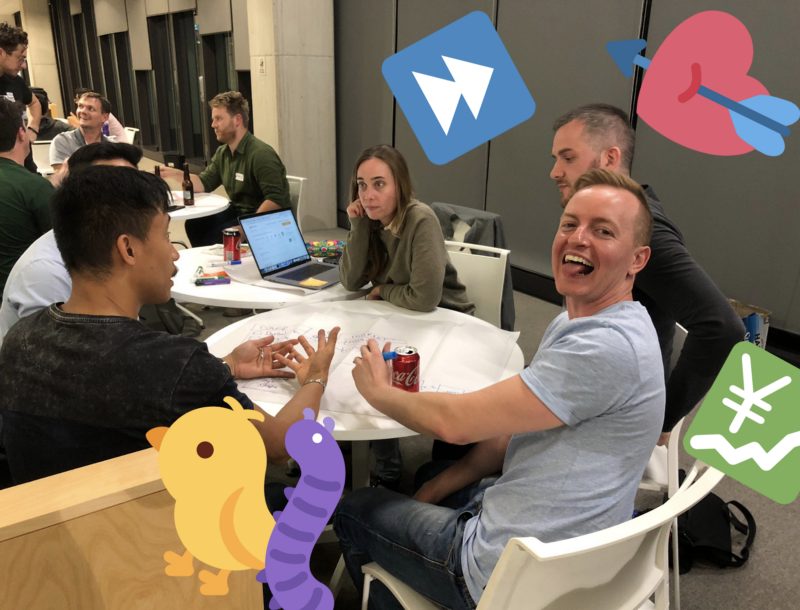 Mark, Connor and Jasper talking the workshops through some fundamental Blockchain knowledge bombs. Come Friday, we were ready to kick off the event. 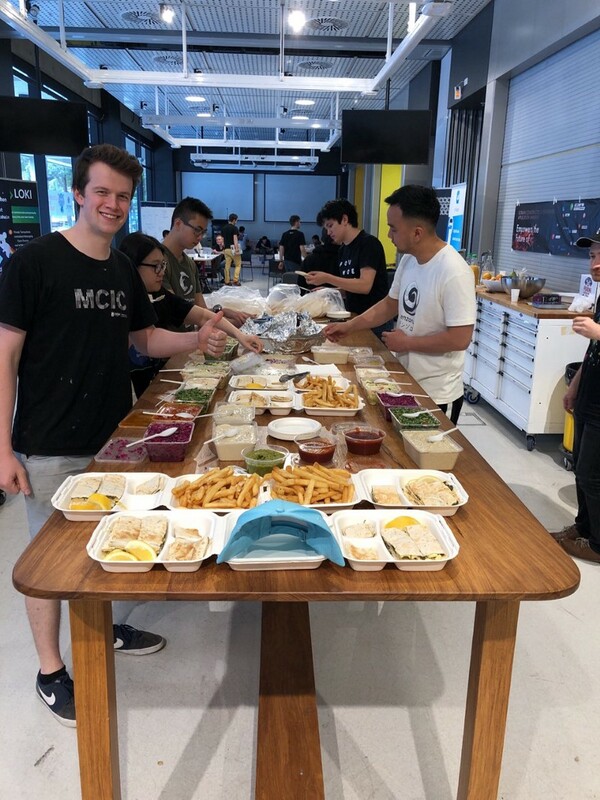 From running away grabbing food and drinks and setting up the venue, it was without a doubt worth it in the end to see the final product of teams hacking and pitching their ideas. The evening started at 6pm with people rolling in hungry for the pizza and beer. Melissa Ran opened the night and Daniel Bar provided the audience with his inspiration with his notable remarks about “2017 being the year of when lambo…and 2018 the year of when homeless…”… The light humour about the bear market helped us remind that the hackers, hustlers and designers in the space are the risk-takers and pioneers that are #BUIDLing for the decentralised future and beyond. The community mentors were then all introduced on stage. 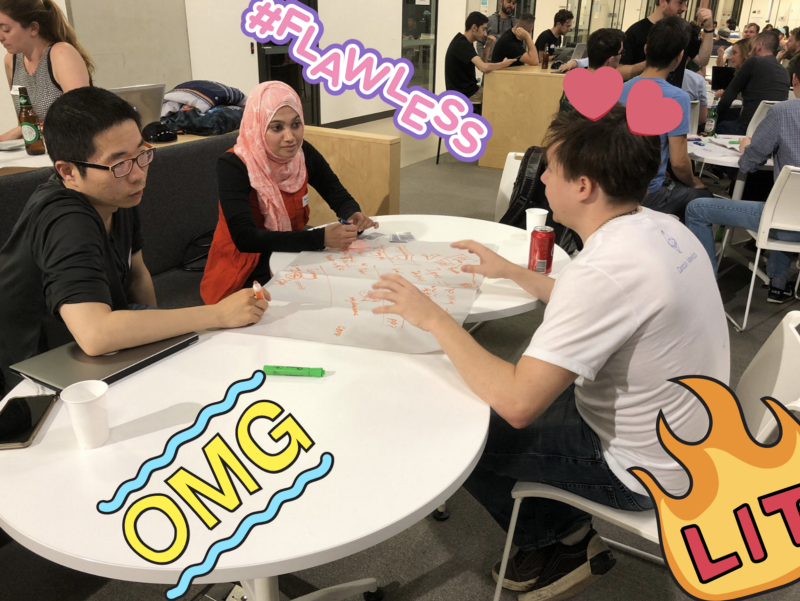 These people were the champions for the event as they provided all the hacking teams with a wealth of advice and tips on how to build their solutions. A huggeeee thank you to all the mentors that contributed to space. Team formation followed with teams going upstairs to brainstorm and hack at their solutions.Hacking continued throughout the night with lots of post-it notes and ideas being mapped out. 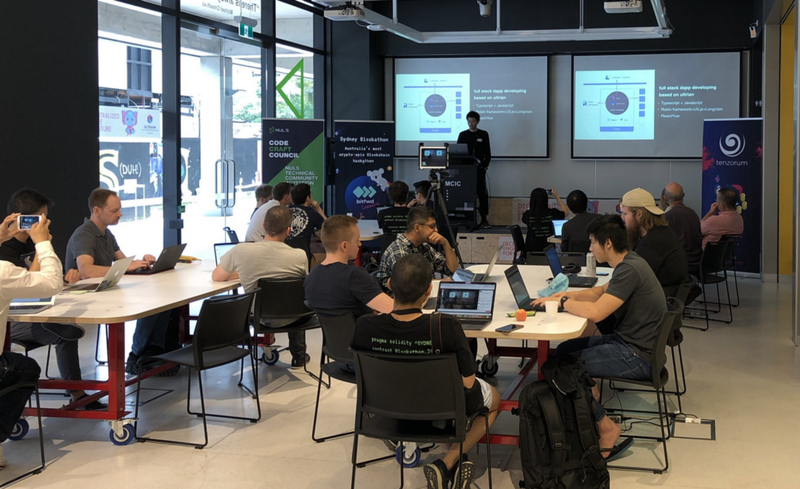 On the following Saturday, all the participants continued to hack and also had the opportunity to attend workshops led by NULS, Ultrain, Tenzorum and Consensys to learn further about the ecosystem. 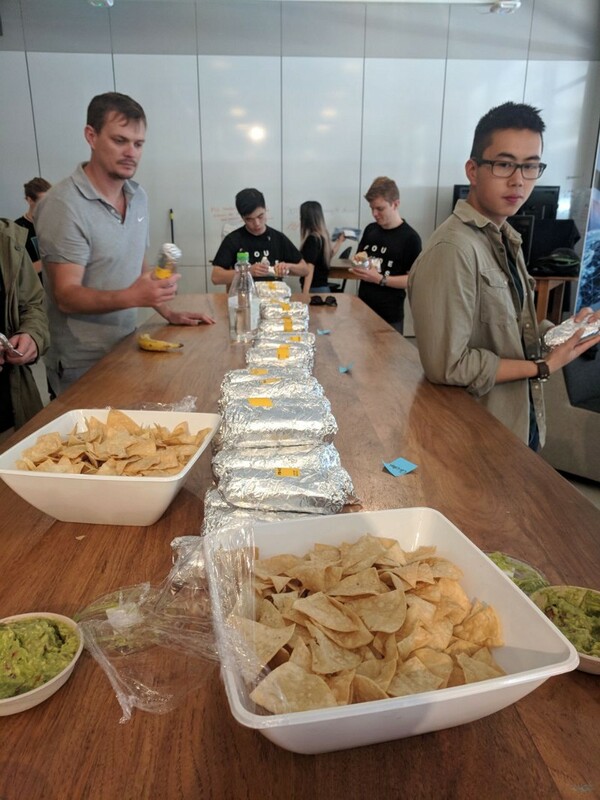 With food being the most important part of the Blockathon, we made sure to fill everyone’s appetite and keep them satisfied. 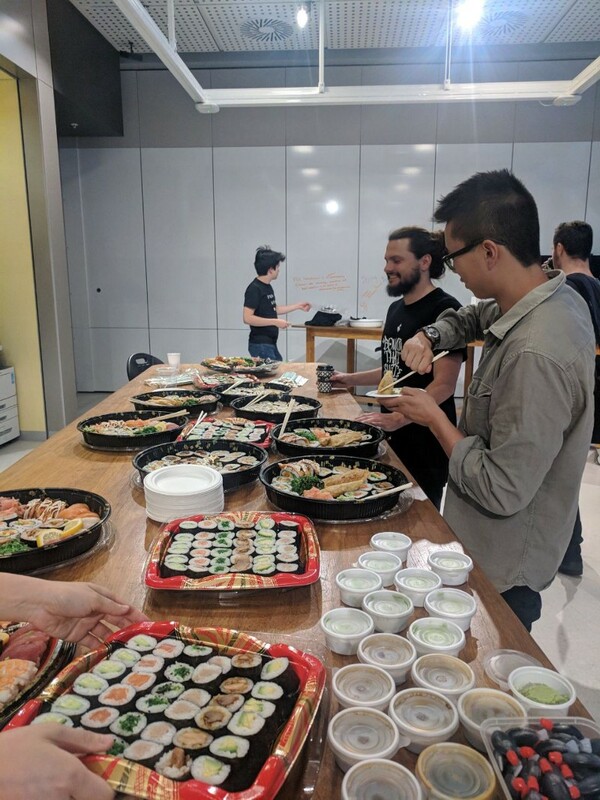 From pizza, falafels, sushi and burritos it was great to see hungry developers, hackers and designers with smiling after long hours of hacking and debugging. Sunday was the last and final day for hacking. 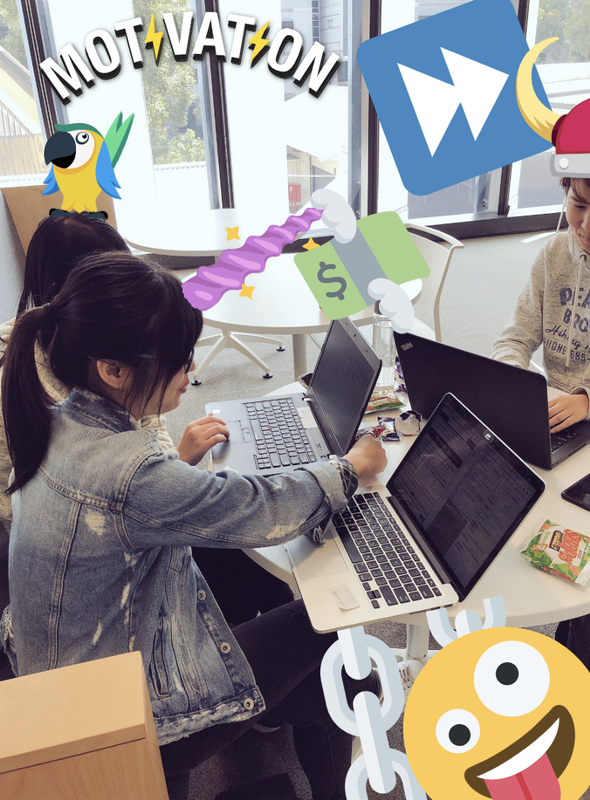 Code freeze and submissions closed as 2:30pm and pitches started at 3:30pm. 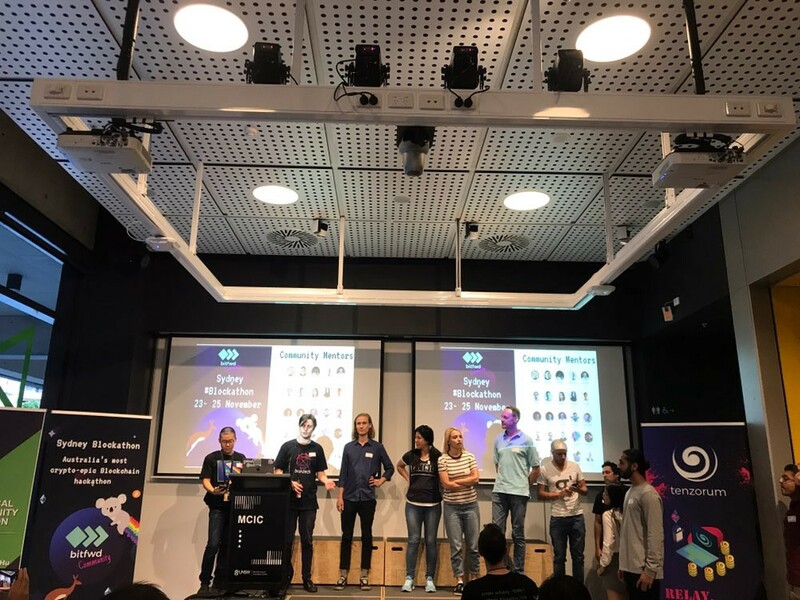 The community judges included Sergei Sergienko (CEO of Chronobank), Emma Poposka (CEO of Brontech), Kee Jeffreys (CTO of Loki), Adriana Belotti (CEO of Blockchain Professionals), Daniel Bar (CEO of Tenzorum) and secret judge Aeron Buchman (Executive VP of Web3 Foundation). 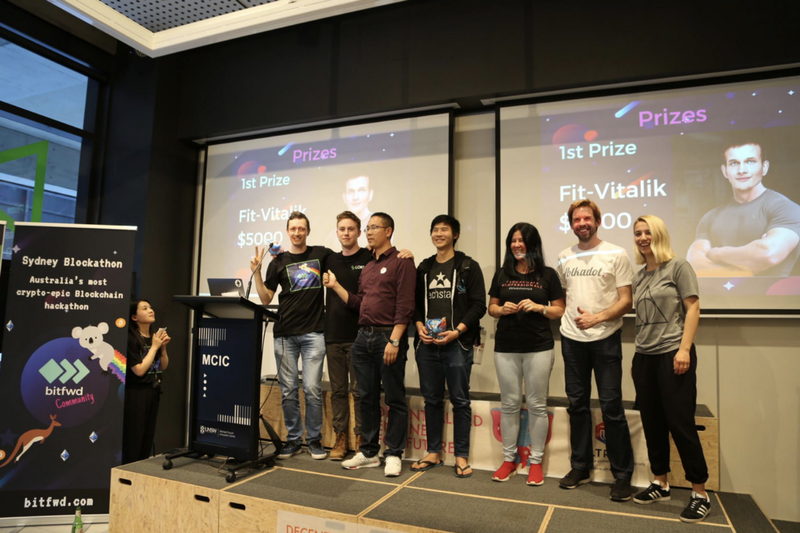 First Prize went to ZKR (Zero-Knowledge Relayers) which is a toolkit to help streamline the use of Zk-Snarks which will help with voting without revealing one’s identity, anonymous prize collection and more. 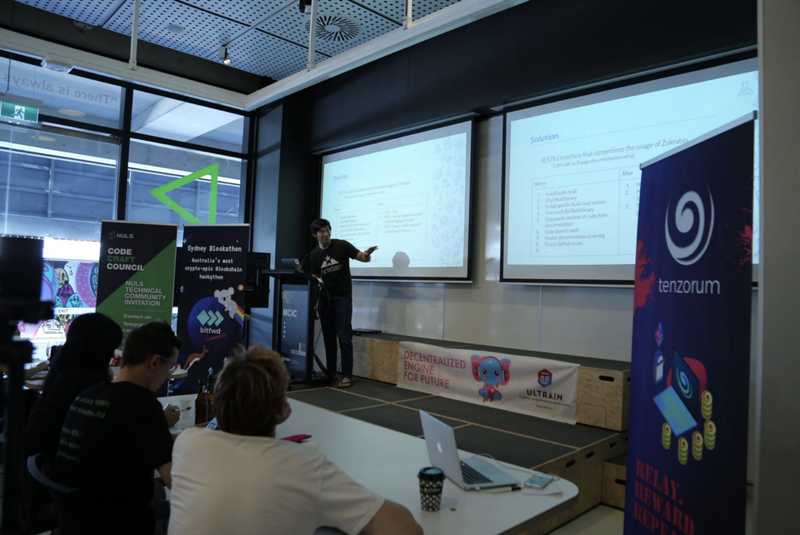 Kendrick Tan as the sole and lead developer of this project took the stage for a surprise for developing a project that is highly required in the Blockchain ecosystem. 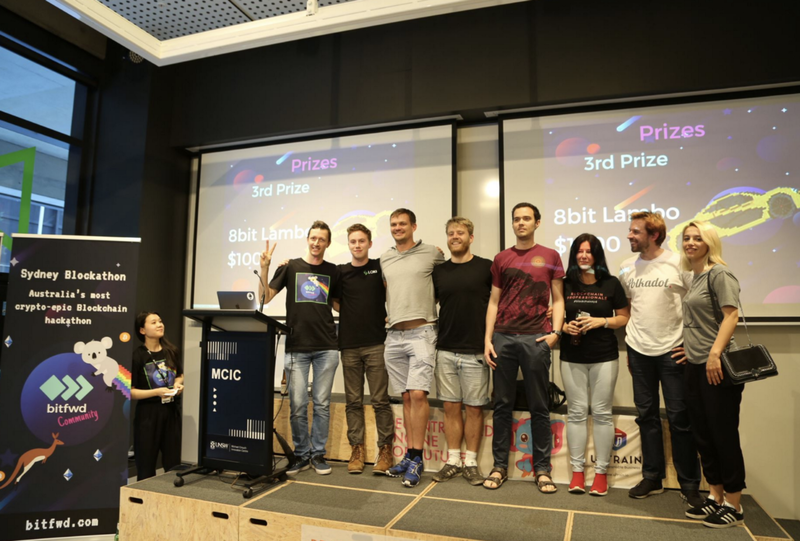 Second Prize was followed by another Queenslander, Harry Jubb for his project M3 which was a mobile multi-signature client forked from the Gnosis Safe wallet. 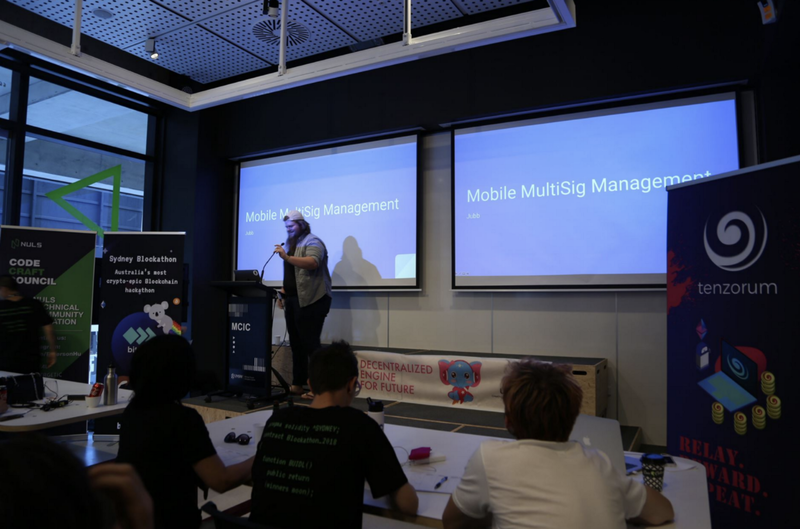 He set out to improve the mobile UI for the client to make it easier for the everyday consumer to validate their multi-signature authentication. Queenslanders taking both the top prize! 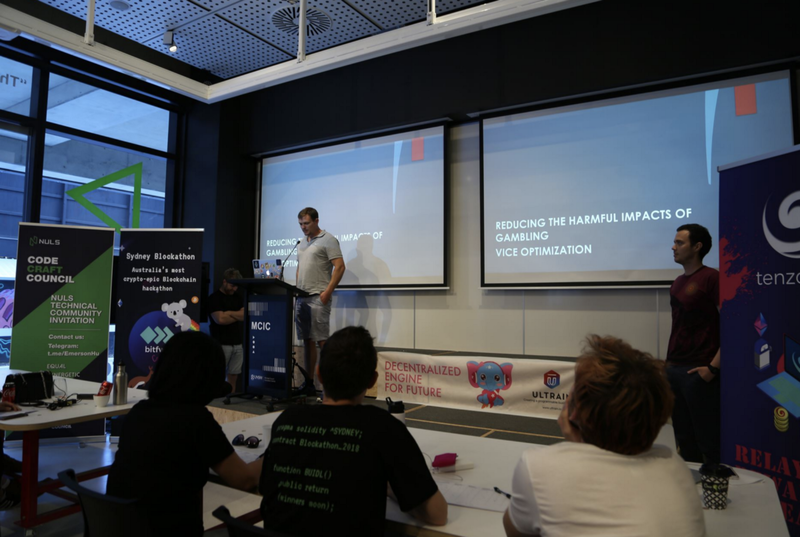 Third Prize was then awarded to TwoUp for hacking a project that reduced the harmful impacts of gambling using vice optimisation through a simple TwoUp, Anzac Day game. 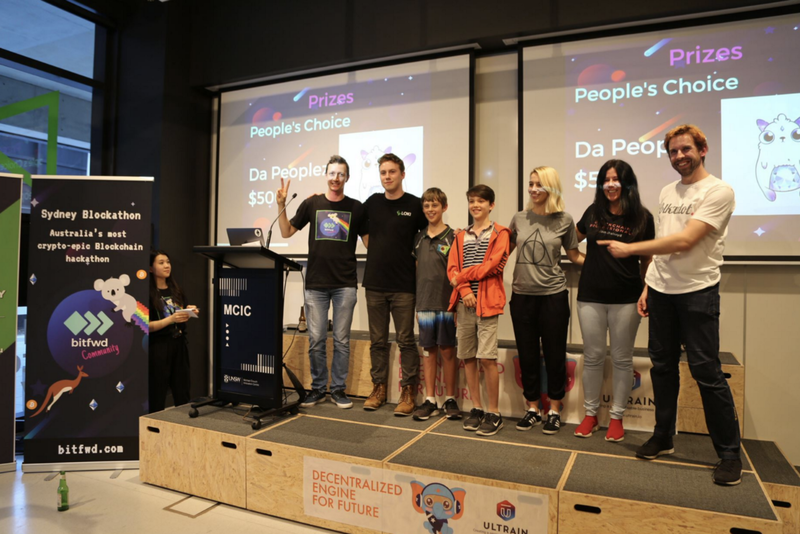 Lastly was the People’s Choice Award which was awarded to the two 11 year olds Baxter and Liam who built a Blockchain game using Scratch called Rule the World. They were able to create a city where citizens can use cryptocurrencies to pay taxes and grow their city. 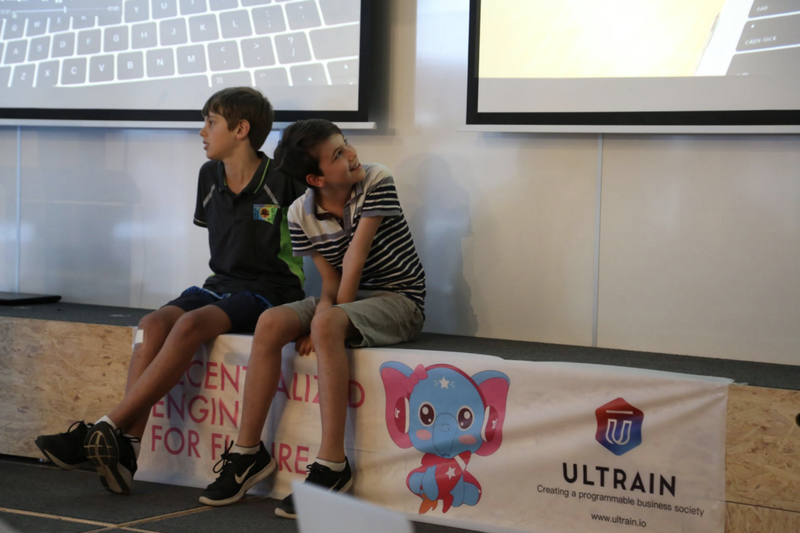 Huge brownie points go to Nick Addison for the awesome parenting and getting them involved in the Blockchain space by building a Scratch module which talks to the Ethereum Blockchain. This highlights how we can include the next generation into understanding the implications of the technology and ensuring that education is put at the forefront for emerging technologies. 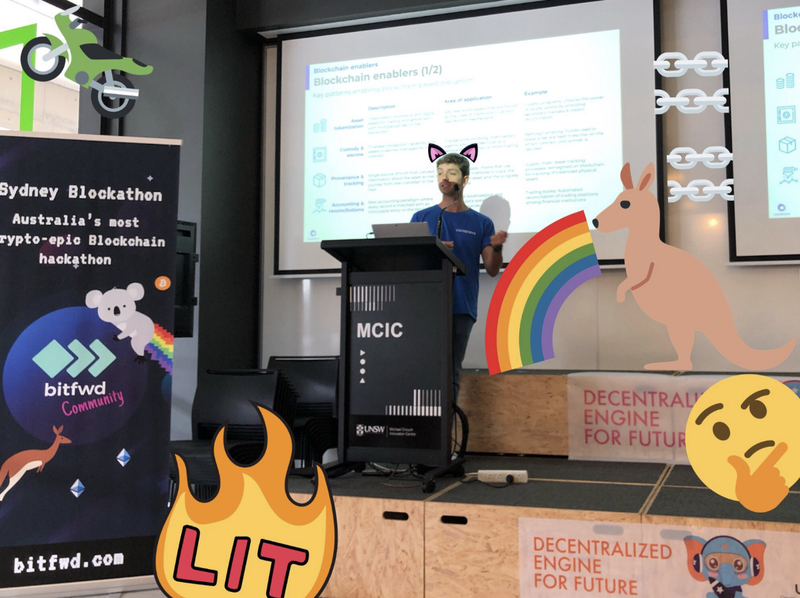 And that was the close to an epic 72 hours of the #Blockathon. 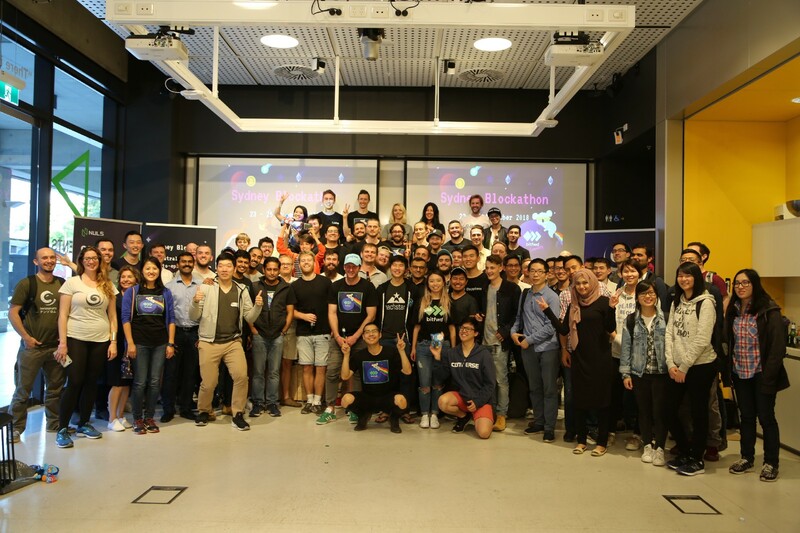 Congratulations to all the winners and participants for the 2018 Sydney Blockathon. 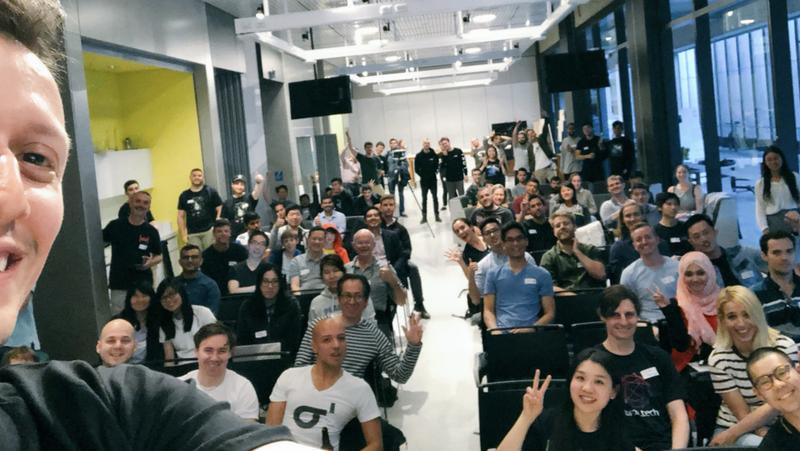 It was a pleasure and a blast hanging out and spending time with all the amazing people in the ecosystem both new and old. 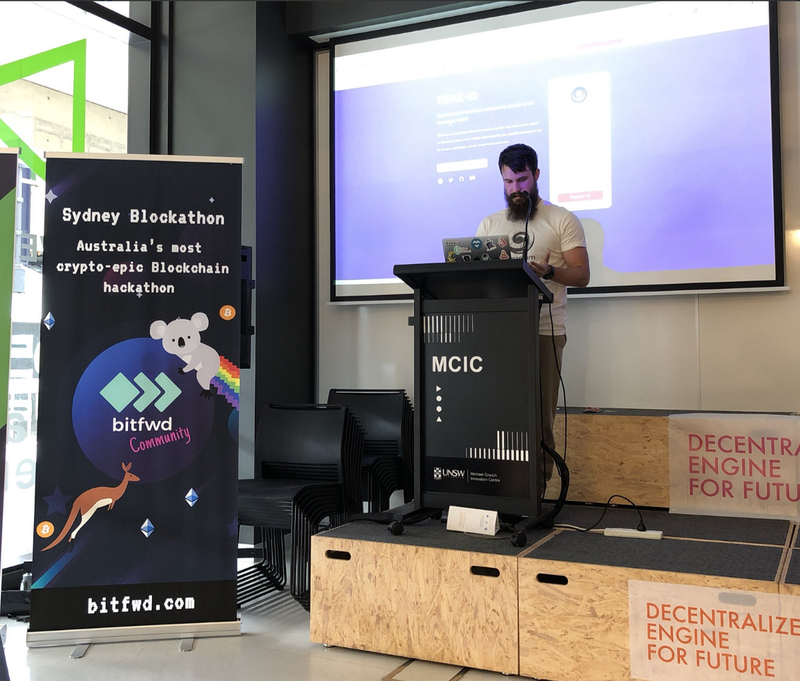 👍 Once again a huge shoutout the organising bitfwd team (Mel, Tralia, Daniel, Moritz, Mark, Radek and Peter), sponsors, community partners, mentors and the Blockathon participants for making it all possible and giving up their time and resources to #BUIDL towards a more epic and equitable, decentralised future. 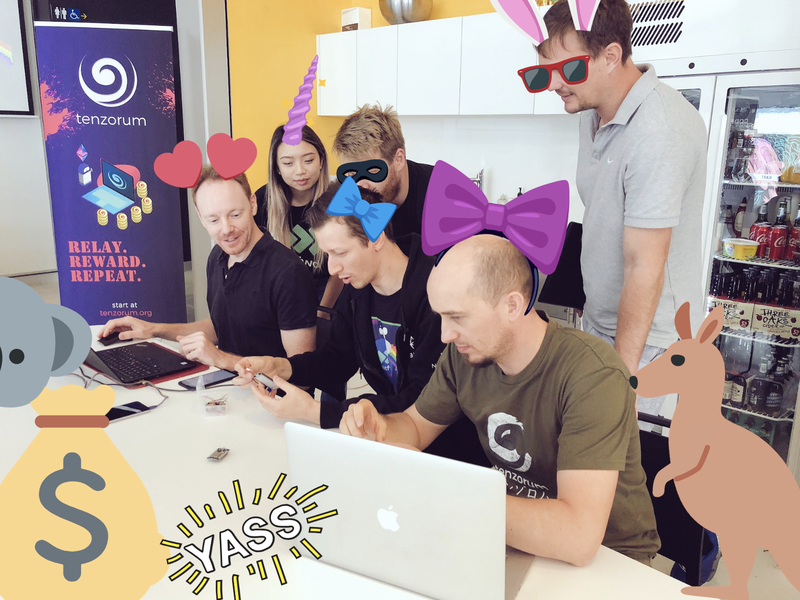 For those who want to stay updated with our upcoming #Blockathon, join our Telegram to stay in the loop!